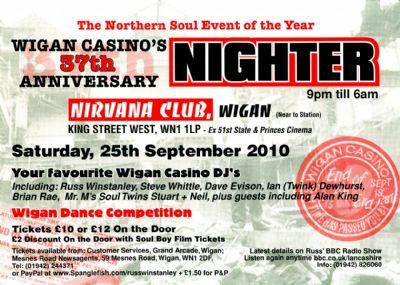 Russ Winstanley launched the famous Wigan Casino all-nighters on September 1973 at 2.00am, Russ attracted 700 soulies on this 1st occasion, and the admission was a princely 75p. The all nighter's ran for 8 years until December 6th 1981 and over 4 million people flocked to station road. Russ hosted 4 nights a week with a total attendance each week of 10,000, twice the combined wigan rugby and soccer gates at this time. 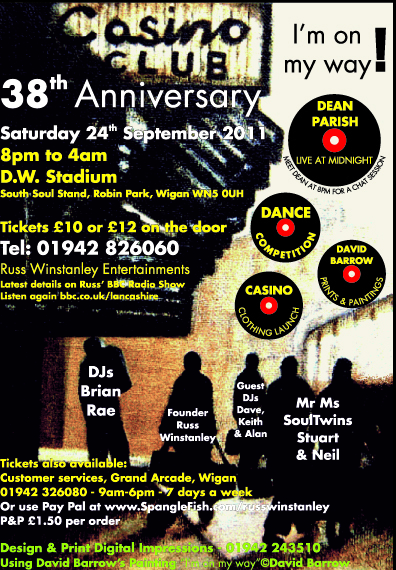 Wigan Casino was awarded by Americas Billboard Magazine the accolade "The Heart of Soul" in 1978, beating Studio 54 in New York. 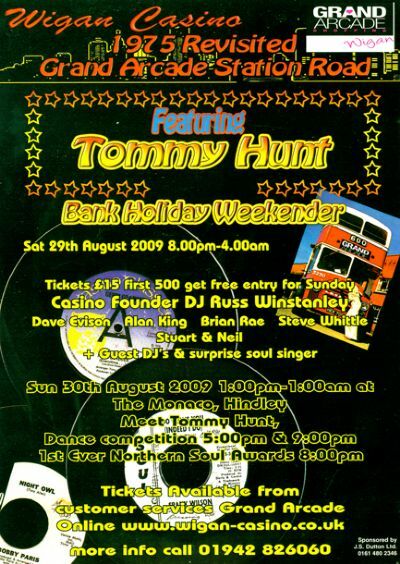 Eventually the owners of the building and Wigan Council decided to close the venue to extend the civic centre and in spring of 2007 the £100 million Grand Arcade shopping centre including a Casino Cafe and permanent exhibition was built on the site of Station Road. As the 35th Anniversary of the Casino approached in 2008 I called Russ Winstanley and asked a simple question "What about Scotland ?" "Funny you should ask that was the reply " and the result was "Nightowl" was proud to announce the rights to bring the 35th celebrations to Scotland and to promote Wigan Casino in Scotland.